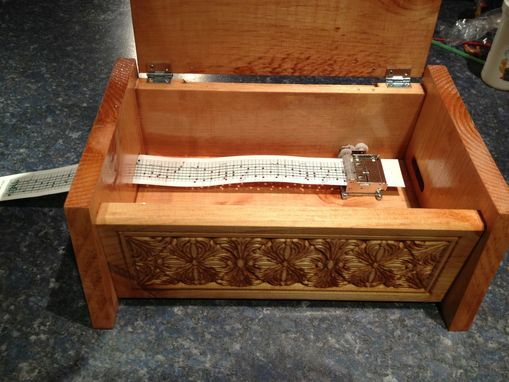 This decorative music box can be customized by you. The paper that runs through the music box can be punched out by you to play the song of your choice. 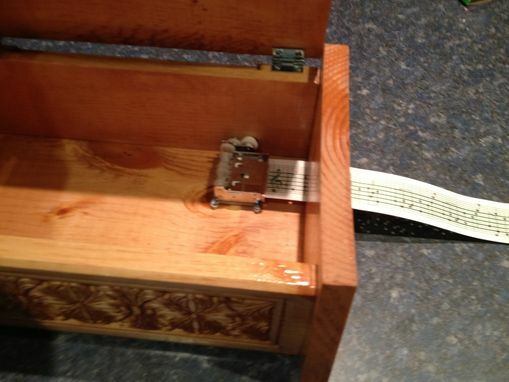 it come with everything you need; the paper strips and a punch. 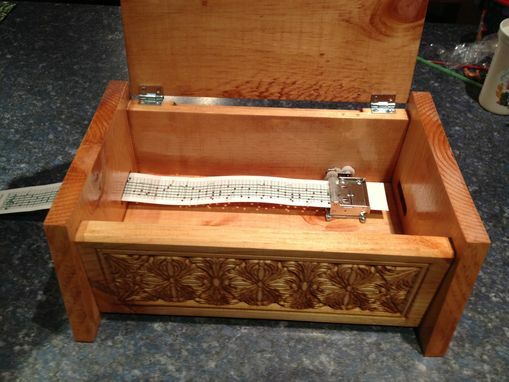 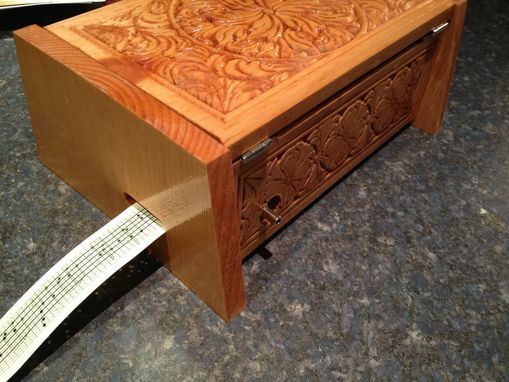 This beautiful box will showcase your musical talents. 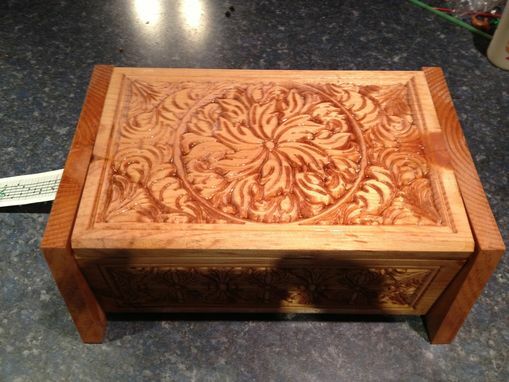 The box can be stained any color for you.